If you’ve been holding off on a smartwatch purchase for the last few years, now is the time to cave in and pick up a tiny wrist-based computer. The awkward adolescent phase of smartwatches is over, and modern smartwatches are beautiful things, with masses of power and helpful features perfectly suited to life on your wrist. But which smartwatch do you pick? 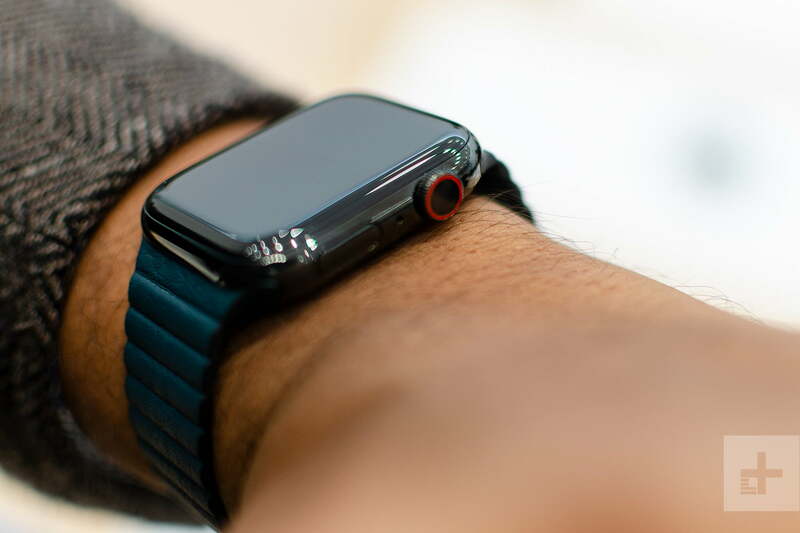 Both Samsung and Apple, the juggernauts of mobile tech, offer exceptional examples with the Samsung Galaxy Watch and the Apple Watch Series 4. But which one is better for you? We took a look to find out. 46mm: 46 x 49 x 13mm. The Galaxy Watch and the Apple Watch Series 4 are opposites when it comes to design. The Samsung Galaxy Watch emulates the look of traditional watches with a round face and a rotating bezel that also controls the device. Easily swapped straps — 20mm on the 42mm watch, and 22mm on the 46mm watch — and a traditional look means it’s ideal for anyone who loves a more subtle look. It’s worth pointing out that the Galaxy Watch is big, even the 42mm model, and it could dwarf smaller wrists, so try it on before buying. There’s a touchscreen, and it’s waterproof enough for swimming. The Series 4 showcases an updated Apple Watch design, with a larger display area and considerably reduced bezels. While some may dislike the squarish body, it has grown on us, and as ever for Apple, the premium build quality is almost flawless. There’s a 3D touch-enabled touchscreen, where harder presses activate different functions, along with the rotating Digital Crown with haptic feedback. You can also wear this watch while swimming. Both watches boast stunning OLED displays, and there’s little to differentiate the two here. The Galaxy Watch comes with either a 1.3-inch or 1.2-inch display, while the Apple Watch Series 4 sports a large 1.78-inch display on the 44mm model, and a 1.57-inch display on the 40mm. It’s a tough call to make on pure looks, because the battle between the square and round design is nowhere near finished — and it’s a personal choice in any case. However, we are going to select the Apple Watch over Samsung’s massive Galaxy Watch, due to the fabulous build quality, superb feel and touch response, and endless array of aftermarket straps and accessories for personalization. Samsung’s Galaxy Watch can track up to 39 different exercises, and automatically detects six workouts including walking, running, and cycling. The optical heart rate sensor is consistent and accurate, and there’s built-in GPS as well, so you can choose to leave your Android phone at home if you go out running. You can also wear it overnight to track the quality of your sleep, and there’s some limited support to track stress levels. But everything the Galaxy Watch can do, the Apple Watch can do — plus more. There’s an accurate optical heart rate sensor here, many options for exercise tracking, automatic tracking for some workouts, plus GPS and cellular connectivity. Like the Galaxy Watch, the Apple Watch can monitor your stress levels — but it’ll also ping you and let you know to take a break if it notices your stress getting out of hand, and will remind you to stand up during the day, and even recommend a quick mindfulness break. There’s the new ECG feature too, which promises to give a baseline for heart health, and sensors that detect if you’ve fallen and possibly injured yourself. Apple’s health game is extremely strong, and the Apple Watch Series 4’s health-tracking features are potentially highly beneficial, a real selling point, and an excellent example of how to do wearable tech properly. As we said, everything the Galaxy Watch does (and it does a lot, in fairness), the Apple Watch Series 4 does better. Despite cramming in a bunch of new features and a larger screen, the Apple Watch Series 4 still has a battery life on par with the previous versions of the Apple Watch. Apple claims the Series 4 has a standby time of 18 hours, and if you don’t use GPS or Bluetooth for audio, we reckon you could reach 24 hours fairly consistently. However, this is the area where the Samsung Galaxy Watch really shines. The 42mm’s 270mAh battery and the 472mAh in the 46mm model may pale in size next to smartphone battery sizes, but it’s good enough here to provide several days worth of battery life. Samsung claims up to 72 hours is possible, and while we more consistently saw two days of life out of a single charge, that’s still enough to see the Apple Watch return to its charger in shame. If you hate the idea of having to charge your watch every day, then the Galaxy Watch is absolutely one of the best options available. The Samsung Galaxy Watch starts from $330 for the 42mm model, and rises to $350 for the 46mm model. 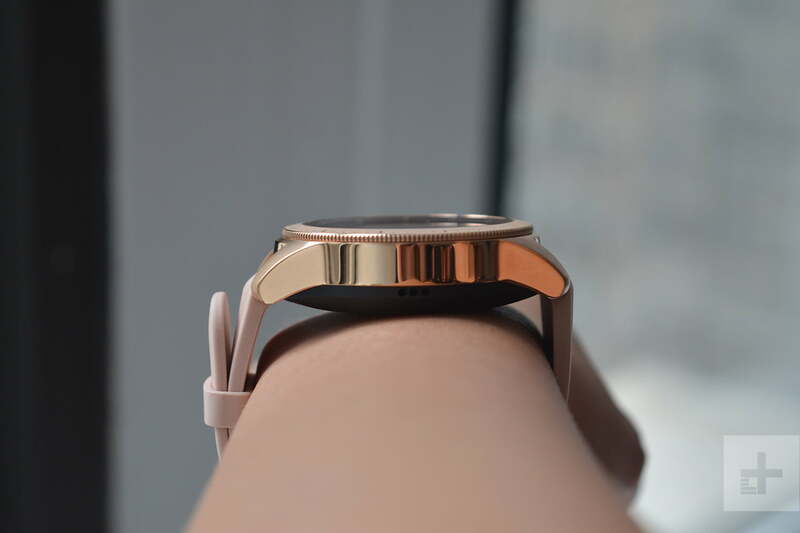 Be warned that the 46mm model is extremely large, so it’s definitely worth checking it out in person before buying if you have any worries about the size on your wrist. There’s an LTE model available too, and you can get that for $380 or $400, depending on the model chosen. The Samsung Galaxy Watch will work with Android and iOS phones. The Apple Watch Series 4 is a touch more expensive, with prices starting at $400 for the 40mm, and rising to $430 for the 44mm. LTE connectivity will set you back more, with prices going up to $500 and $530 for the respective models. If you’re a bit sportier, there’s also the Nike+ model of the Apple Watch. If you’ve got money to burn, there’s the super-premium Apple Watch Hermès, but prices start at a stunning $1,250. Unfortunately, like all other Apple Watches, the Series 4 will only work when connected to an iPhone. The Samsung Galaxy Watch is probably the best smartwatch you can buy for an Android phone — but the title of best smartwatch absolutely has to go to the Apple Watch Series 4. While the single-day battery life may be a turnoff for some, the Apple Watch more than makes up for it with a huge raft of clever and well designed features, all blended perfectly into WatchOS 5 — which is probably the best smartwatch operating system out there right now. If you’re looking for the best smartwatch — and you have an iPhone — then the Apple Watch Series 4 is your choice. But if you’re rocking an Android phone, then the Apple Watch is not even an option, so it’s fantastic news that the Samsung Galaxy Watch comes a very close second.